Lung protective ventilation using 6 mL/kg of ideal body weight is the standard of practice in patients with acute respiratory distress syndrome (ARDS). The use of low tidal volume ventilation was associated with decreased morbidity and mortality in the ARMA trial . The use of low tidal volume of 6 mL/kg of predicted body weight (PBW) conferred a mortality reduction of 22% . A recent large epidemiologic study, LUNG SAFE, demonstrated that not only is ARDS underdiagnosed, there is also a significant delay in recognition . There is growing evidence in support of the use of low tidal volume ventilation as early as possible in patients with acute respiratory failure, both with and without ARDS [3, 4]. 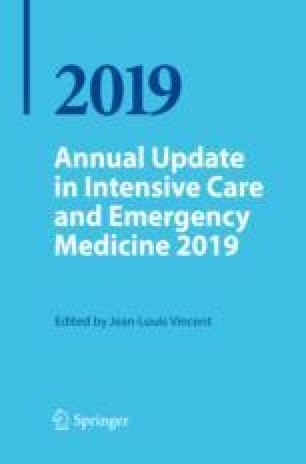 Given that as many as half of the patients admitted to the intensive care unit (ICU) come directly from the emergency department (ED) , and many others come to the ICU after major surgery, it is important to understand ventilator practices for patients in the ED and operating rooms and how these practices in the early part of mechanical ventilation may be important to the later outcomes of patients. Anonymous. PRotective VENTilation in Patients Without ARDS (PReVENT-NL) NCT02153294. 2014. https://clinicaltrialsgov/ct2/show/study/NCT02153294. Accessed 8 Oct 2018.